This will be a true Maine island experience as we explore the many islands in the Harpswell region of the coast of Maine during this 5-day adventure. The group will literally be immersed in all aspects of the skills necessary to enjoy an offshore kayak excursions safely. From low impact skills around camp to the best ways to evaluate gear and equipment you will need on the water, this will become more than just a workshop experience but an adventure. Over the five day period you will have the opportunity to refine and develop paddling skills from stroke work to group management on the water. There will be plenty of “wet work” too where you’ll have the chance to experience open water rescue scenarios in real and varied conditions. You’ll come way with some functional technical skills that don’t rely on daring-do or showy maneuvers. In addition, there will be some great outdoor culinary tips that you can take home for a future excursion, and other invaluable tips for enjoying an island experience responsibly. Most likely we will experience Maine’s foggy weather, but even if we don’t you will be learning navigation skills gaining the confidence to do it the old fashion way with a chart and a compass, no GPS necessary. A great competency development week on the water. •Low impact camping skills - including cooking tips, packaging tips, site selection, etc. Price includes camp meals beginning with lunch on day one and finishing with breakfast on final day. If you truly want to sample a 'taste of Maine', steer your course to Stonington and prepare yourself for an unforgettable trip! Join H2Outfitters’ Cathy Piffath, for a dynamic and informative women’s retreat along the Coast of Maine. Cathy is one of the country’s foremost instructors in sea kayaking and canoe skills. Gear up for this exciting adventure along mid-coast Maine. The long narrow bays fed by abundant rivers provide the adventurous paddler with much to see and explore. Summer homesteads to once-famous authors, poets, and explorers await your visit to this intriguing area known as the Harpswells. A true wilderness experience offering panoramic views of one of the few natural North American fjords. This area is best characterized by its dramatic tides, cold arctic waters, and breath-taking views. Located 12 miles off the midcoast of Maine, lies the large island complex of Northhaven and Vinalhaven, known for its striking natural beauty and home to the largest lobster boat fleet on the East Coast. This new trip that we are introducing is going to focus entirely on the Chianti region. This is a terrific trip for paddlers of all skill levels who enjoy sleeping at the water's edge on a warm sandy beach at the end of a day. Rugged, remote, and simply beautiful. Open stretches of sea, majestic headlands, rustic fishing villages, and undeveloped shoreline are just some of the reasons why we like this area. Come explore the country where Cathy's better half of the family originated, PrinceEdwardIsland. This will be a true Maine island experience. Our base camp will be on one of the many islands in the Harpswell region of the coast of Maine. The group will literally be immersed in all aspects of the skills necessary to enjoy an offshore kayak excursions safely. Imagine paddling through volcanic archways, a glimpse of a precipitous coastline coming into view, and then the full drama of la Costeria Amalfiano before you its landscape of color, texture, and relief are woven into a dramatic tapestry that permeates the soul. The lush greens of the tropical rainforest, miles of sparkling white sandy beaches, reflecting the intense equatorial rays of the sun, simmering volcanoes and misty crater lakes�. When the goddess of love Venus emerged from the swells of the Tyrrhenian Sea, seven gemstones were lost from her crown as the waves crashed all around her. 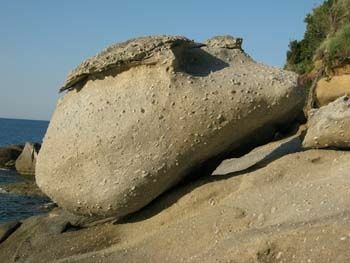 These seven stones became the islands of the Tuscan Archipelago: Elba, Giglio, Capraia, Gorgona, Pianosa, Giannutri and Montecristo. So these are the gems of Tuscany encompassing 600,000 acres making it Europe's largest marine park. The most famous and largest of these islands is Elba, dominated by nature with its long sandy beaches, small inlets, vertical cliffs, and transparent deep blue sea. The Etruscans mined metals here, to the Romans, it was a destination resort, and to Napoleon it was his home away from home during his exile. We'll visit small medieval villages, sample local fare rich in genuine flavor, and explore the stunning coastline of white sand, hidden cobblestone beaches,and rugged rock outcroppings. From here, we'll journey to the heart of Tuscany, a region first inhabited by the ancient Entruscans, who cherished the hills, the land, and the air as a place of sanctuary. For Chiantigianos it is the place to cultivate the grape, harvest the olive, and to savor the sights, sounds, and scent of the hills. For us peregrinators, wayfarers as the Roman tourists called themselves, it will be a delight for the senses and truly an adventure for a lifetime. Join us on our Portugal Exploratory and get a behind the scenes perspective on how we put a trip together. Become part of the process by coming along and save Big time! This will be an a-la-carte trip which will be priced well below the regular booking price once the trip is on the docket. H2Outfitters will provide all lodging, transportation in country and kayak-related cost. You will be responsible for your meals and the costs of any activity you may choose to do. As a member of the exploratory team you will have input on accommodations, eateries, points of interest as well as feedback on the places we visit so that we can make the right choices for the final itinerary. It will be a fun and flexible trip with lots of interaction with the locals too. Space is limited so don’t delay if this catches your fancy! Our itinerary will have us arriving in Lisbon on Sunday, May 21st. We will find ourselves in the oldest and most venerable part of town, the historic Chiado district. Here in the midst of the city’s flavor, ambience, and history we begin our exploration. Faced with the choice of heading north or south from Lisboa, our journey will lead us on the latter route to the southernmost point of Portugal in the Algarve region, our destination… the magical town of Sagres. Here we’ll discover secluded beaches and coastal towns, and see first hand the dramatic cliffs that frame the southern coastline. Opportunities for hiking and biking will present themselves no doubt, so be ready to burn some calories! The main attraction here is the raw beauty of the place, an setting beyond compare. $3400 per person based on double occupancy; singles add $500. To confirm your spot a 50% deposit must be received at time of registration. The balance for the trip is due February 28, 2017. The trip will be limited to 8 explorers and slots will be secured on a first-come, first-serve basis. Cancellation Policy: 100% of the deposit will be refundable until 2/17/17after that date 50% will be refundable until 3/20/17. Paddle with us to the lush tropical rainforests and jungles of Belize. The Best of Both Worlds...enjoy an exhilarating day kayaking on the water, soothe your muscles under the warmth of hot shower, sample the fruits of the sea, and relax in the comfort of a cozy Maine Inn! Join us on this 6-day expedition paddling across Penobscot bay, Blue Bay, and into Frenchmen's Bay, a distance of approximately 65 miles. Iceland is at once a primordial world and a technical conundrum. It has been a place that demonstrates the dichotomy of the wildness of nature, its taming and harnessing by humanity. These qualities have sparked the imaginations of explorers, adventurers, writers and artists from the four corners of the world...and in so many ways, it is indeed the earth's center. The West Fjords of Iceland offers unequaled landscapes of dramatic cliffs, lush valleys, and few remote fishing villages. Wildlife is abundant with almost 50 species of breeding birds, arctic fox, seals, whales and porpoise. Using a sailboat as our 'Mothership' you will have the flexibility to explore the plentiful fjords that penetrate deeply into this land-mass creating the fingerlike peninsulas of the West Fjords. In addition to the kayaking, you'll also have the chance to explore on foot over glaciers and sloping lava fields. Clean, comfortable, and warm accommodations are provided on board the sailboat as well as delicious Icelandic meals and fresh coffee. At the end of the kayak/sailing trip, we will return to the capital city of Reykjavik, renowned for its European influence of fine restaurants, nightlife, and shopping. You'll have time to explore this vibrant city full of history, architectural designs, and excellent cuisine. One cannot leave Iceland before experiencing the agility and sturdiness of the Icelandic horse or a visit to the Blue Lagoon. You'll have the option to partake in both activities or spend time exploring on your own on our final day in Iceland. Depart from US to Iceland. It is best to try for the overnight flight arriving in Iceland early morning. $5250 per person double occupancy; single supplement $300. If you are single and willing to share a room, please let us know. NOTE: We try to be as accurate as we can with our itineraries but certain factors out of our control can cause the itinerary to change. We appreciate your flexibility and trust in us to provide you with a safe, enjoyable, and memorable experience. Join us as we explore the beautiful and wild western mountains region of Maine on this 4 day/3 night kayak adventure, utilizing the Maine Huts & Trails system, Maine's newest, year-round outdoor adventure destination. During our four days we will stay at the beautiful Flagstaff Lake Hut, named "best Lakeside lodging" by the editors of Yankee Magazine, and also at the Grand Falls hut located on the banks of the Dead River. We'll have a chance to experience the beauty of Maine's lakes and rivers as we make our way from Flagstaff Hut to Grand Falls Hut, hiking the last 2 miles through Maine's scenic woods to the hut. This is a great trip for all levels of paddlers and an opportunity to enjoy some fresh water paddling. Experienced kayakers, take advantage of the clear warm [img 3319] water of the lake to practice rescues, rolling, bracing or any other in-water skills that are less inviting to practice in the cold Maine ocean water.